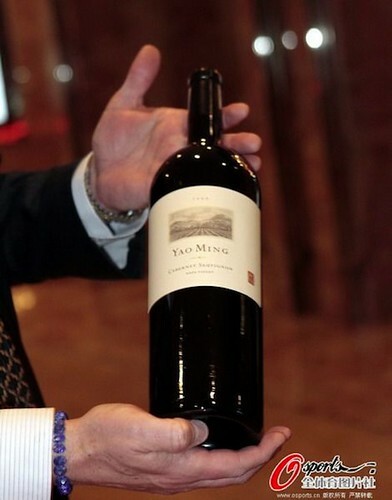 On Friday, Yao hosted in Shanghai a VIP banquet for celebrities and wine enthusiasts, which also served as a welcome dinner and reception for Adam Strum, the co-founder and publisher of Wine Enthusiast Magazine. Strum flew to Shanghai to launch the Mandarin edition of Wine Enthusiast Magazine. Pictured below is the inaugural cover (June 2012) with Yao on the front, and a photo of Yao with Strum pictured behind him. 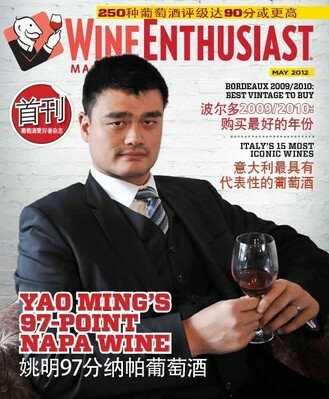 You might notice the headline on the magazine cover that mentions the “97 points” for Yao’s wine. 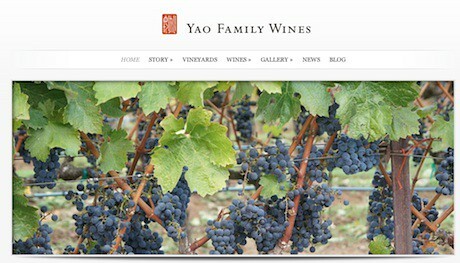 Yao Ming’s 2009 Family Reserve received an exceptional score of 97 points from Wine Enthusiast magazine, while his 2009 Napa Valley Cabernet Sauvignon received a score of 95 points. The wines were rated by well-known California editor, Steve Heimoff, in the June issue of the magazine. Click here to learn more about the ratings the wines received. 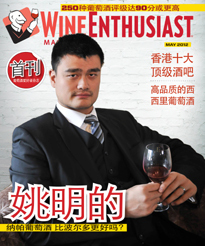 Last week it was announced that Yao will appear next month on the inaugural cover of the Mandarin version of Wine Enthusiast Magazine. Checkout the preview below where Yao is looking quite dapper. 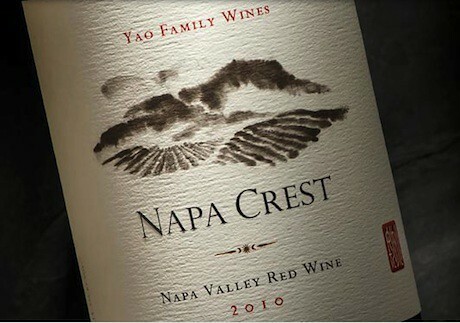 The world’s largest wine media company reveals plans to reach millions in Greater China and Hong Kong. 1. International content for Chinese wine consumers to enjoy about wines from the United States, France, Italy, Spain, Chile, Argentina, China, Australia and other parts of the wine world where Wine Enthusiast Magazine has journalists and editorial offices. 2. Tens of thousands of wine ratings and reviews based on the famous 100 point scale which will help provide the YMW customer direction for their wine purchasing needs. 3. Educational articles about wine to expand the knowledge of YMW’s customer base. 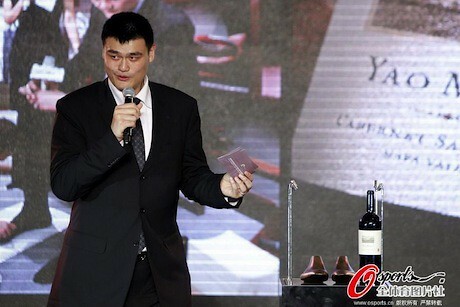 Yao Ming’s new wine business continues to get lots of attention. 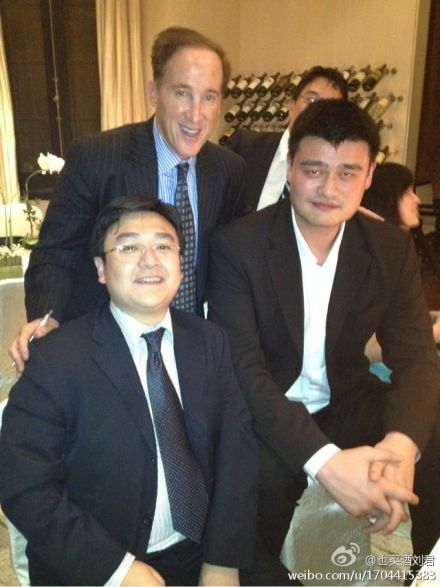 This time the esteemed Wine Spectator magazine interviews Yao. Check it out here.